What is it like to find a child given up for adoption--a son or daughter of any age--who has serious and debilitating physical or emotional problems? It's less than "perfect," whatever that is, but it is an answer to a grief-filled question; it is the end of not knowing; it is the way to a reality, no matter hows painful, that can be dealt with. Just as is it impossible to fully comprehend what it is like to be told by some records clerk that you cannot have your original birth certificate because the state sez so, the same is true of anybody who doesn't know what happened to her child. 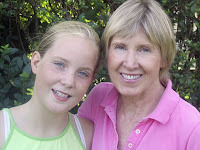 Years ago when my daughter was 12, I was living in Manhattan with a roommate, another writer named Barbara. She noticed that the picture of Joan Didion and John Gregory Dunne's adopted daughter, Quintana Roo, looked what she imagined I would have looked like as someone that age. The few pictures I had of myself in New York (the rest were back home in Michigan) led me to see what she was talking about. Yeah, I could see that "that girl" in the Time magazine picture looked a lot like I did when I was that age. In one of the sychonistic twists of fate, I had spent a couple of weeks in Quintana Roo, the Mexican state at the end of the Yucatan Peninsula, wandering around by myself, sometimes hitch-hiking, sometimes riding buses with chickens and holding someone else's baby for a time, and found it a mystical, magical place. I felt as if I had been there before, in another life. I felt comfortable there, climbing Mayan ruins and swimming in coral caves, even though I do not speak Spanish. I tried to find out as much about this Quintana Roo as I could, and in a subsequent magazine piece about them, she was now 13...only weeks after my daughter turned 13. Even though the couple were in California when they would have adopted in 1966--the same year as I relinquished my daughter--anything's possible, right? People often adopt from a far-away state to be far away from the dreaded real mother, birth mother, natural mother, call-her-what-you-will mother. Barbara and I were both working at a magazine, and one of the art directors saw the resemblance too. The mystery deepened. Of course during this time I never took my eyes off girls in the street, cruising down Fifth Avenue, in the coffee shop or having lunch with their mothers in the lunch room at Lord & Taylor: anyone of them could be my daughter. It's hell, pure and simple, walking around wondering what happened to your child, the one you carried in your womb for nine months, the one who came painfully kicking and screaming out of your body. "All parents realize, or should realize, that children are not possessions, but are only lent to us, angel boarders, as it were. Adoptive parents realize this earlier and perhaps more poignantly than others. I do not know the end of this story. It is possible that Quintana will find more reality in family commitment and cousins across the continent and heirloom orange spoons and pictures in an album...than in the uncertainties of blood. It is equally possible that she will venture into the unknown. I once asked her what she would do if she met her natural mother. I'd put on arm around Mom," she said, "and one arm around the other mommy, and I'd say, 'Hello, Mommies.'" "If that is the way it turns out, that is what she will do." Barbara and others urged me to write Dunne, and I finally did. From friends, I was able to get their home address--I didn't want this being read by someone at his publisher, or an editor at Esquire. If she wasn't my daughter, an answer to my burning question at least would put what now began to seem like a particular piece of madness to rest. I waited. A few weeks later, a few days before my birthday in 1977, his reply arrived, hand-addressed and typed with an inky ribbon. I hesitated before a opened it. Barbara was there, but I went to my bedroom to be alone. "We hope everything turns out for the best happy for you and the child and it's father and it's adoptive parents. I still can't read the letter without tearing up. The rest of Quintana's story takes a dark turn. In 2003, at 37, she married a musician in his 50s. Five months later she contacted what seemed like a bad strain of flu; that turned into pneumonia, which in turn became septic shock, and she was in a coma for months. As I can best suss out, she was in a coma, or nearly so, when Dunne died in December of that year. Didion held off the funeral for three months so Quintana could attend, but the respite was brief. Not long after, she collapsed with a massive hematoma and had brain surgery. There were teasing moments of recovery, but less than three months later she died of acute pancreatitis in 2005. Her system was just worn out. I followed Quintana's illnesses with an avid interest, she who was born the same year as my daughter, the infamous Year of the Fire Horse in Chinese astrology, whose birthday is almost exactly a month before my daughter's was, an adopted daughter who seemed to resemble my daughter, but not my daughter. My daughter was afflicted in many ways too. She had, as many of you know, epilepsy. Serious epilepsy. Grand mal and petit mal seizures. She took strong drugs like Depakane and Depakote, which dulled her mind somewhat. She had numerous psychological problems. She was long fascinated by the suicide of an (adopted) cousin, and an aunt of mine I never knew, and she racked up a couple of failed attempts herself, one time drinking cleaning fluid. Her life was punctuated by volatility, sorrow, trouble and grief. Adoption was just one of the running themes in her life, and I am sure it did not lighten her load. Our relationship could go from hot to cold in the blink of a second, with me never knowing what might set her off, and away. Or when she would be back. The summer of 2007, after a couple of years of a good relationship, she pulled away from me, this time in retaliation for my being annoyed over one of her antics. She completely Xed me out of her life. A letter to my granddaughter was returned with an official red stamp on it "REFUSED" --or was than an earlier time? She would not answer my calls on her answering machine; then she changed her phone number to unlisted; emails went unanswered. I gave up. I was not even told that after a week of being unable to sleep, she overdosed on Tylenol PM (she took, she said, at one point 12 pills in a day) and ended up once again, in the hospital, this time for an entire week. And then one day in October she called and we both said at the same time: How are you? I knew how cautious I had to be when talking to her; every word was guarded, anything could be misinterpreted. Or she could cut me off because of something her "Mom" said. Life was like walking through a field loaded with land mines. Miraculously, we became close again. She was my daughter. In mid-December she was in one of her crazy moods again, and while an episode of madness seemed to have passed in a day, she killed herself a few days later, after emailing me that all was well, that she was making chicken with mushroom soup for dinner. Though my relationship with Jane was a roller-coaster of emotions, up one month, down the next day, then up months later...I would not have changed one moment of knowing to unknowing. Constant wondering was much much worse that being rejected by her, my daughter who was adopted, even if the tears seemed more intense during periods of her rejection. After Birthmark came out, and this story about Quintana Roo and myself is included, I heard that some woman friends of my husband's previous girlfriend had decided that I really was nuts--and the basis for that was suspecting Didion's adopted daughter was my daughter. How crazy is that? They laughed at me, made fun at my expense. I know all this because some of the chatter occurred in my husband's presence before they knew we were serious. Shortly they were all out of my life, thank goodness, but I sometimes remember how cruel people can be about our feelings. Going public as I have, I've felt it several times. So it goes. Is there any real way to compare the grief of not knowing with the knowledge of her death? One that I can think of immediately: not knowing is a mind-numbing endless hellhole of existence. Death has certainty, flowers in baskets, sympathetic notes from friends and relatives. Death finds understanding and empathy. Death has ceremony and finality. The angst of not knowing what happened to a child you surrendered to adoption is a small death everyday. For me, enduring her death has been easier than the fifteen years, six months, three weeks and two days when I did not know where she was. Jane's life was troubled in a million ways and there were not enough drugs or therapies to make it all better. She lurched from one catastrophe to another, with only small moments of calm and happiness. Her marriage to her second husband, a good man, a very good man, was one of those happy times; the smart and sometimes sassy daughter she raised was another, but even they were not enough to keep her from her own harm's way. In Jill Krementz's book, How It Feels to Be Adopted, the story of both my daughter Jane, at age 16, is included, as well as that of Quintana Roo. My daughter in the photograph looks a lot like my mother, and Quintana...looks somewhat like me at that age. Weird. You can see Jane's picture and part of the story at the "Look Inside" feature at Amazon, but I was not able to access Quintana's picture and story. To see Jane, you must insert her name (Jane) in the side slot before accessing the pages. If you don't, you won't be able to see her picture. Didion spoke at the memorial of a friend of ours some years ago, but it was one of those gigantic services at Columbia University and I did not try to speak to her. What would I have said, anyway? Thank you for this wonderful post, Lorraine. I'm so glad you and Jane got to have a relationship over the years, though I'm sorry for the pain that you experienced. I'd like to read your book as well as Jill Krementz's. Would it be possible to put up a picture of yourself at around the same age as Jane is in that picture? Obviously, no DNA test is needed here. I find it really sad that we adoptees miss growing up with the people we look like. It's such a powerful connection. So poignant, and beautifully presented. Thank you for sharing this with us. Robin: I've got one but I am still a tyro when it comes to dealing with pix. I need to shoot it with my camera and figure out how to transfer etc. Maybe that is today's assignment. oh My God, Lorraine, this is STRONG and BEAUTIFUL - Thank you. We (Natural Mothers and Adoptees) are so strong - people have no idea. We shed tears but that never means that we are broken - it means that we have and will Survive. I often wonder about this, I see natural mothers post and say they just want to learn that their children are fine. Or I remember reading one natural mom saying that she wanted her son to reassure her about her decision and say, "Oh mom I am fine" but he wasn't. He was really suffering and she held that against him. My mom has told me that next to giving me away being the worst thing that happened to her, finding out it was also the worst thing that happened to me, was the 2nd worst thing in her life, if you can follow all of those worsts. And it was, I have been really damaged by the experience, so badly that I couldn't even fake a normalcy. As a preemptive strike: I KNOW NOT EVERYONE IS DAMAGED BY ADOPTION AND YOUR SONS ARE VERY HAPPY TO BE ADOPTED AND DON'T EVEN MIND BEING ABUSED AND HAVE VERY NICE TRACK SUITS. Yes, my personally personal experience NOT YOUR SON'S REALLY HAPPY ONE resulted in me being very traumatized and having the behavior of a traumatized person. I wonder how my mother feels about it, she would never tell me that she wishes I never found her. She is always very nice about that and sadly even told me that she didn't want me to think of myself as a 'mistake' which blew my mind, no, not a mistake, a tragedy maybe, but not a 'mistake'. But my mom also never says that the not-knowing was horrible. She even says she never thought about me. Maybe it would have been better for her to have never known me, and I was fucked anyway. I mean by the time she met me, it was too late. I took a pix of one of my childhood pix, same kind of shot as that of my daughter, when I was approximately the same age, but when I try to upload to the blog...It was SERVER REJECTED. Yet the photo I want is in the "My Pictures" file on my desktop. And I can not highlight and copy it either!!! Computers, like life, are complicated. I hope I don't have to hire someone at $75 an hour to help me out. GRRRRRRRRRRRRrrrrrrrrrrrr. Lorraine, I thank you for posting this - I can so relate. I also found a very troubled young man when I searched for and reunited with my son Steve when he was 21 and also born in 1966. I spent all those preceding years searching faces of young boys that I imagined looked like me. Once I followed a young man around a Home Depot in Connecticut and even asked him if he was adopted. He wasn't. Steve was thrilled to be found but I was warned by the agency that he had a troubled life. I was told he had "emotional issues around his adoption" which his adoptive mother later denied. He was living on the road following The Grateful Dead when I found him, but really just a lost soul. Initially he couldn't get enough of me - he thought I was everything he aspired to be. He loved the rest of my family but became so possessive and needy that it became frightening. We went to lots of therapy, both together and alone and I was so torn in those days between guilt and being told by my therapists that I had to learn to set boundaries with him because it felt like I was having an emotional breakdown. The whole situation was ripping my heart out because anytime I didn't drop everything to speak with him, he would accuse me of abandoning him again. Steve's adoptive parents refuse to believe adoption had anything to do with his issues - they were actually hoping it once slipped out in conversation; that something in his genetic family history would be responsible. He was put on Ritalin at 4 years old by a pharmacist relative and began self-medicating the rest of his life. His descent into drugs has been so hearbreaking to watch. I don't even have the energy or heart to go there right now, but I had to tell him our relationship was on hold until he could get help. His adoptive parents enable his behaviors and the whole situation is a giant cluster f*ck! But, I am not sorry I searched. My marriage broke up because of the strain but I still had to find him. I had to know. And at least no matter what - I still love him. He is my child. My only child. I have to confess though that I read the obits in the Pittsburgh paper everyday never knowing if his name will appear. I don't tell this story in many places but you provide such a safe place to share and I know that so many of you understand why the need to know is greater for most of us than even what we find. Joy, your reference to the guy in the "nice track suit" is unwarranted. I do not recall anyone else mentioning their son being a runner here, so that is pretty transparent an insult. You do not know a damn thing about my son or what he has suffered, and your veiled references to him are not appreciated or appropriate here. Nobody is out to get you, or adoptees in general. The moderators here are generous in allowing commentary from all sides and all views, yours and mine included, but perhaps you need reminding that personal attacks are not permitted. Address the issues all you want, in direct opposition to me or anyone, but leave my son out of it. It seems to me only a few websites are brutally honest about people born that year that year. But apparently it is a year for great achievement also. One website I read said that Fire Horse people cause a lot of turmoil in their families. The next one is 2026, I believe. I try to keep this a safe place. Our stories are not all happy endings. I have posted comments from both Joy and Maryanne, but will not post anymore that are directed specifically to the other on this issue. Are any of you aware of this organization in Dallas, Texas? Are there more organizations like this and if not, why not? There are programs similar to Alley's House all over the country. All you have to do is use a search engine such as google. Most of them are not-for-profit so do not have the funds to do much promotion of themselves. To this day, which is more than 30 years later, I still wonder about my beloved son who was ripped away from me in 1978. Every day I pray that he's eating well, has money in his pocket, a roof over his head, and that my blessed mother guides and helps him even more than she has me. My son is still my "one and only". After he was born and I was terrorized to sign him over to Colleen Burnham and David McConkie of Children's Aid Society of Utah--and who let me add David McConkie transacts adoptions for LDS Social Services that's operated by the Mormon church--I never had any more children. The anghish over losing my son...period...wrenched me in my soul so deeply that I later tried to commit suicide. I wish I could find him, or he would locate me. Thanks, for listening to my rant.